After leaving school and working for his father, Tommy Walsh started his own small building business in East London, which specialised in hard landscaping – the part of creating gardens which doesn’t involve the planting. Tommy Walsh met the executive producer of Ground Force, while he was engaged in building work on her house. She asked his opinion on various pilots, including a new gardening challenge show, and his comments were perceptive and pertinent. She invited him to take part in a screen test with Charlie Dimmock and they both joined Ground Force. Since that day Tommy Walsh has gone from strength to strength and has filmed 11 series of Ground Force. Ground Force was also filmed in America by BBC America featuring Charlie and Tommy. Tommy Walsh – DIY Survival (Discovery Home & Leisure) – Presenter. Win Tommy Walsh – (Discovery Home & Leisure) – Presenter, 15 part series. His book DIY Survival made it into the UK’s bestsellers list and he other project books include: Kitchen DIY, Bathroom DIY, Garden DIY and Living Areas DIY. He’s DVD Tommy Walsh DIY Survival is on sale in all major retailers. 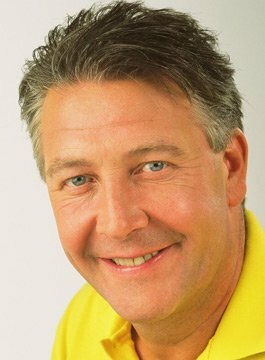 Tommy Walsh is available for personal appearances and regularly appears at BBC Gardeners World Live and Good Homes Shows.